There is no beauty contest to determine which Fusion Middleware product shone the brightest during Oracle Open World. And it is a matter of taste any way. In this case, my taste. 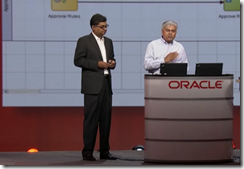 So, subjective as it is, my verdict in terms of the MVP (most valuable product) in the category FMW during this year’s OOW conference: BPM! The main reason for this assessment is the rapid evolution that BPM has shown in the recent passed and is defining for the near future. 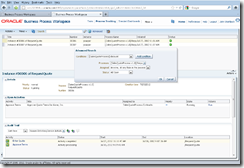 After having been integrated with JDeveloper and SOA Suite 11g PS3 (April 2010), the Feature Pack 4 release (August 2011) and later the PS5 release (Spring 2012) demonstrated a lot of progress. The roadmap for 2013 looks very promising too. Part of the star status that I award to BPM is the obvious joy and sheer enthusiasm with which Manoj Das – VP, Product Management for BPM Suite – presents on BPM (here he makes an appearance in the General Session on Fusion Middleware – see General Session OOW 2012 on Fusion Middleware , go to 22nd minute). He is more or less unstoppable once let loose. I like that very much – a manager who believes in his own product and tells an electrifying story with live demonstrations. Let’s go over some of the highlights in the upcoming releases of BPM. The Process Composer is a browser based tool that can be used to publish process models and that also allows modeling of new and modification of existing business processes – at a functional level (no or at least not all implementation details). 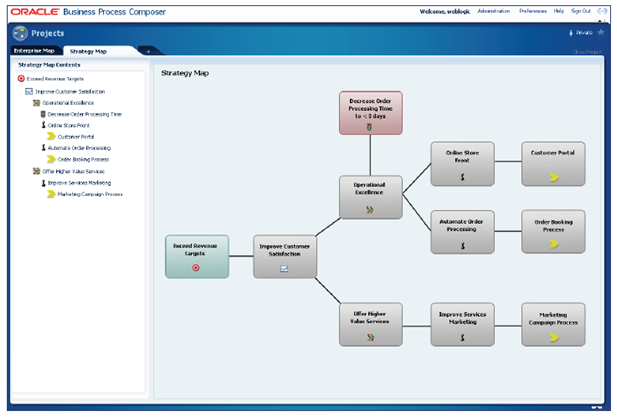 In the upcoming release (PS6) of BPM, the capabilities of the Process Composer will be substantially extended. The tool will support more concrete modeling – and additional definition of implementation aspects – than was previously the case. There will be more support for collaboration among analysts and other stakeholders around changes to process models. 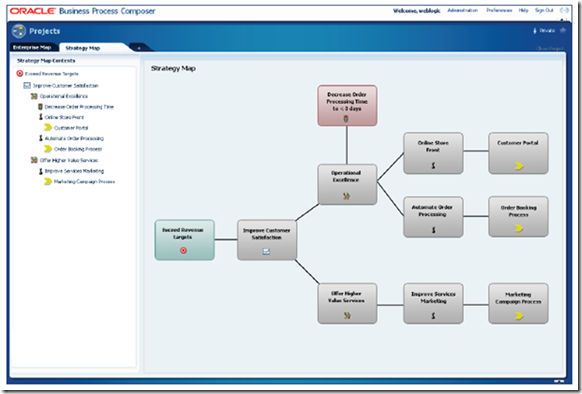 One other aspect of business processes – and their automated appearance – that can now be defined through the Process Composer is the user interface that will be displayed to a user who has been allocated a (human) task activity in the process. 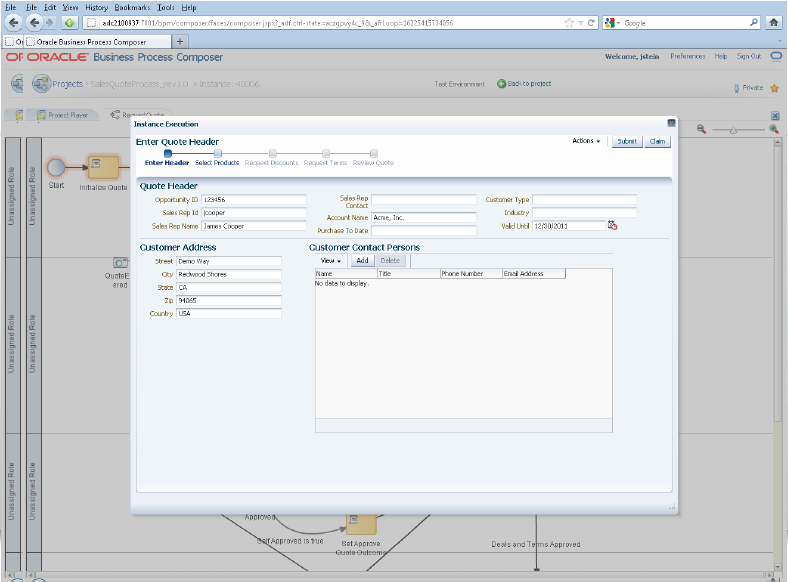 At the moment, Oracle offers an ADF generator for creating the user interface for such tasks. This facility is available only from within JDeveloper. The resulting pages – and the project structure around them – are sometimes quite heavy weight considering the task that they need to support. In order to facilitate the iterative process model prototyping from the browser and in order to alleviate this ADF burden for really simple Task UIs, PS6 will introduce the notion of WebForms. These are (simple) pages that are defined in the browser – consisting of fairly straightforward forms and fields on top of the process data. 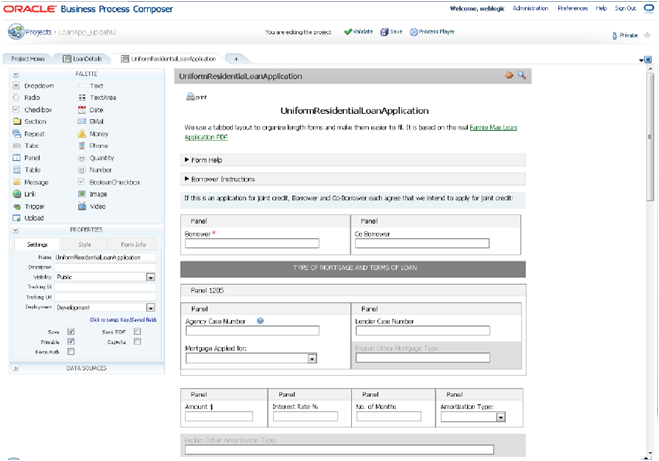 The WebForms are implemented using a dynamic, meta-driven component that is embedded in an ADF Task Flow. 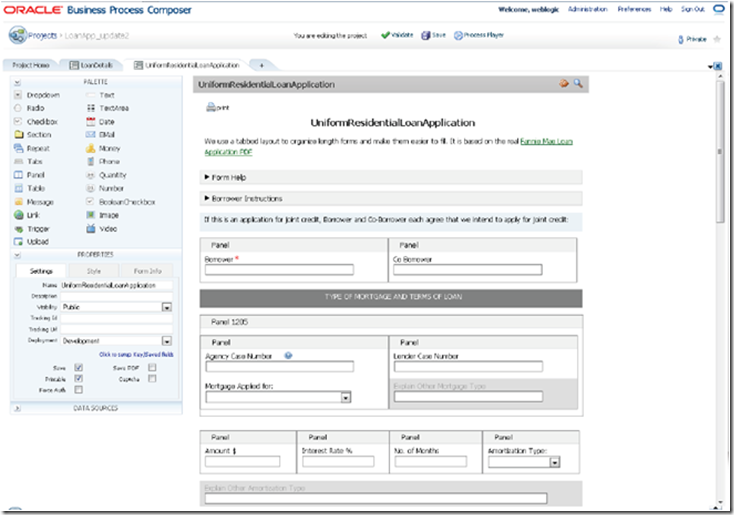 This means that the WebForms can be incorporated in any ADF application. 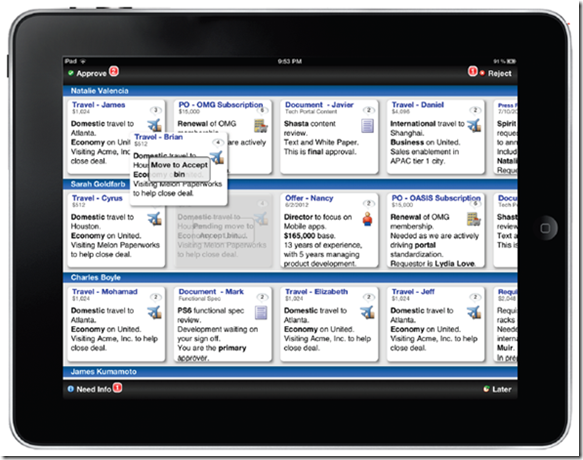 At a later stage in the development, some of these WebForms – especially those supporting a non-trivial user task – are likely to be replaced by either a generated ADF page, a hand-crafted ADF page or even a page created in a different UI technology that interacts with the Human Task Service APIs. From within the browser, a simulation can be run and the results can be analyzed. One (big) step beyond simulation is running the process as it currently stands. Ideally, draft activities (not yet implemented) can be skipped, demo data can be provided and deployment effort is minimal. In PS6, the Process Composer has a new feature called the Player. With the Player, the process model that is currently being worked on in the Process Composer can be started, the initial data can be provided and an instance of the process is executed. This means that a process under construction can be prototyped iteratively, all from within the browser based tool. BPM in its pure form as currently implemented (up until PS5) is somewhat rigid. All activities that take place in the process have been predefined. The order of the steps is also more or less baked into the process definition. Using decision points and conditional flows, we can at least make some steps optional. But the order of things is well defined. For many situations and processes, that is a fine way of approaching the world. Because of regulations or the complexity of the process – and the risks involved – it may be very important completely suitable to have such a strict definition of the process. However, in other cases we have to cater for contingencies – flows that we did not prepare for, that require improvisation on the part of professional users. Only through trickery can we deal with such improvisation scenarios and for situations where the order of the activities and even the necessity for certain activities is very flexible and frequently up to the judgment of highly skilled process actors, classic BPM does not have a good solution. For these situations, Oracle introduces Adaptive Case Management in PS6. In Case Management, the case is the central element around which the process revolves. A case frequently consists of one or more documents – such as the medical examinations, legal documents, a complain or request for permit with attached photographs. One aspect of the Case Management functionality in PS6 is (improved) integration with Content Stores (through CMIS – Content Management Interoperability Services, an open standard) to associate the documents with the case that drives the process. New elements in adaptive case management include Case Activities, Events, Stakeholders and Permissions, and the runtime (dynamic) management of above concepts, as well as User driven task decomposition. Users – again, highly professional workers – have much more control, based on their professional skills, knowledge and responsibility – to organize the (instance of) the process as it unfolds, taking the current situation into account in ways that cannot be baked into the design time process model. 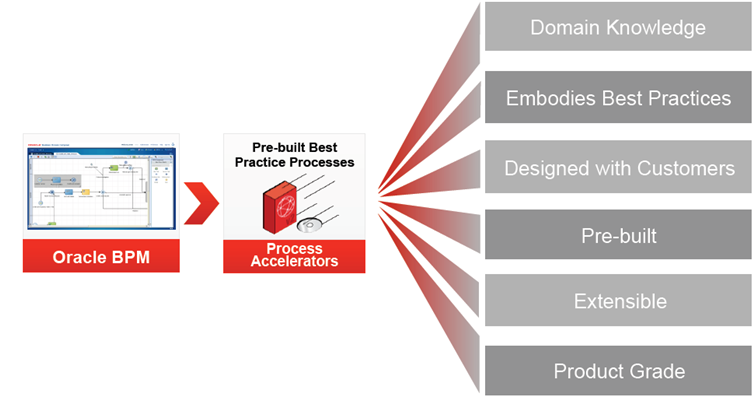 Note: at the present, you can request these accelerators by email – see http://www.oracle.com/technetwork/middleware/bpm/learnmore/processaccelerators-1609559.html. 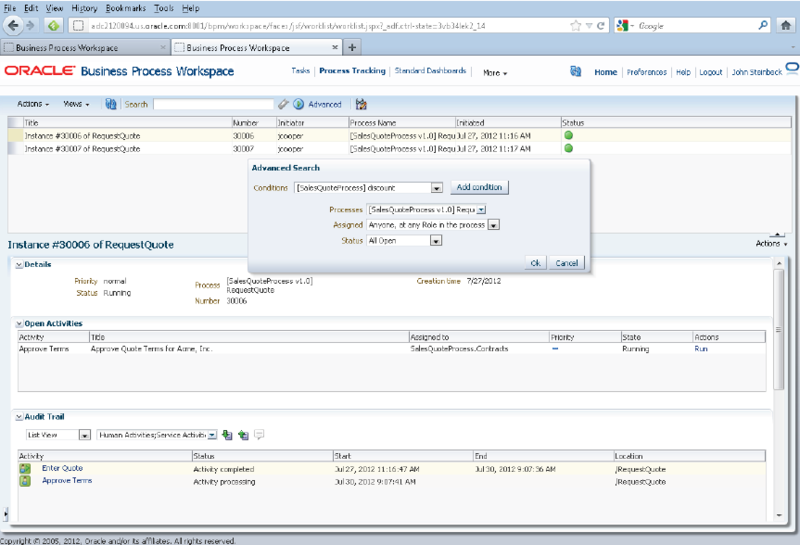 Shortly, there will be a VM with all Process Accelerators implemented in it. 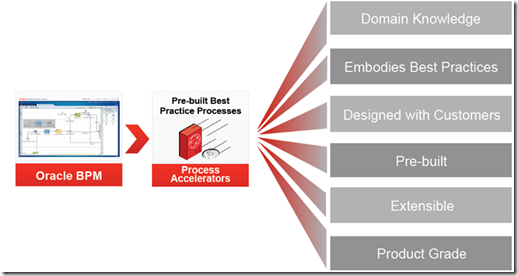 The process accelerators come packaged with Process models, Business Rules, Business Dashboards, Rich User Interaction, Business services, Preconfigured roles, Data model, Extensibility mechanisms, Documentation and UPK (learning) content. It is a bit cowardly perhaps to group new facilities and improved functionality under such a title. Well, here it is anyway. Improved Analytics: PS6 will have round trip simulation. This should mean that results from actual process execution (number of instances, processing time for individual activities, ratio of instances going either way at decision points etc.) 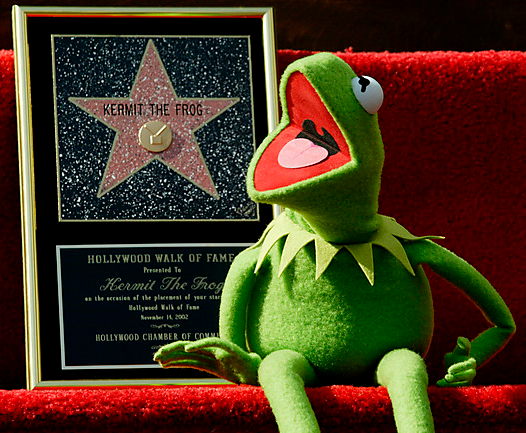 are fed back into simulation models to improve their real life likeness. More support for monitoring (in real time) and analyzing (after the fact) of business processes and the metrics on the execution of process instances is promised, on various levels. 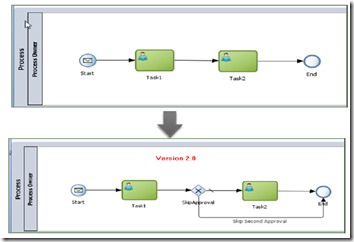 Administrative improvements: managing Business Process Models will become easier in PS6 – because more options will be available to handle individual process instances upon upgrades to the process definition. A new revision of the process can be deployed and subsequently individual process instances can be selected for in-flight migration (adoption of the new revision of the process definition). Note: this extends the capability available in PS5 (and FP4) that allows running instances to adopt the new definition deployed as the same revision. See this article for more details. Additionally, PS6 will help with bulk migration of running instances. 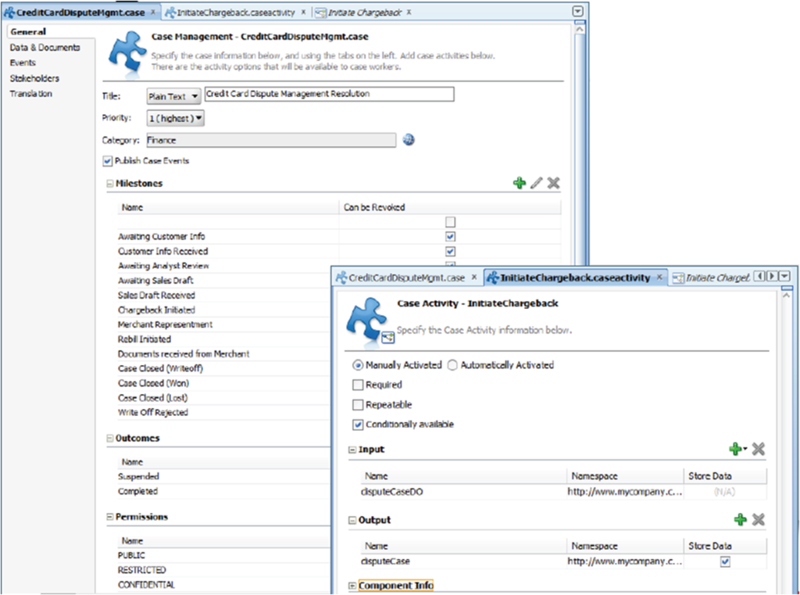 For example with a feasibility report to identify which instances can be automatically migrated to new version without user intervention. 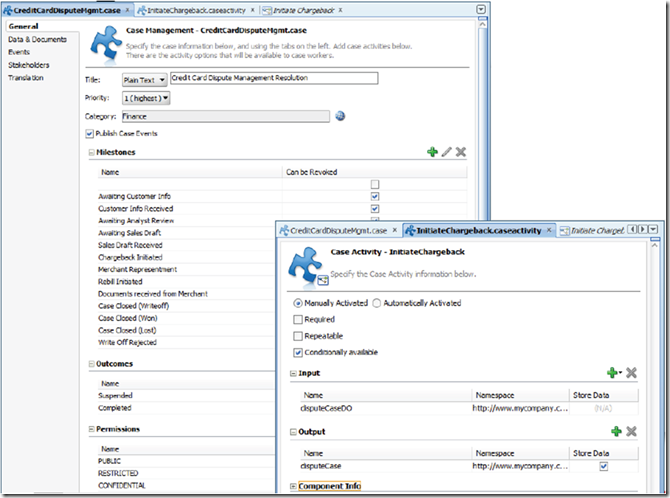 Some enhancement will be introduced to the Business Process Workspace – the browser based tool for process owners/managers/administrators where instances can be tracked, inspected and analyzed. It will be easier to search for and locate individual or related process instances. There will be an enhanced and more business friendly Audit Trail for process instances as well as simplified delegation rules. 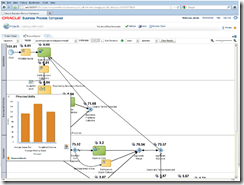 Oracle also mentions standard process monitoring dashboard – that could be good but it is too abstract to judge. No dates are given by Oracle, not for PS6 (nor PS7 if that will happen) and certainly not for what comes beyond: 12c. All indications suggest a release not before the second half year of 2013. It does not get more specific than that. 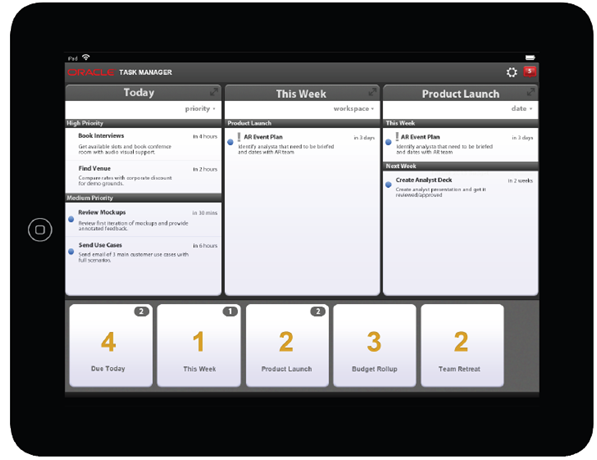 In the next generation of Oracle BPM Suite – there will be support for [modeling of] some key aspects of enterprise and business architecture. 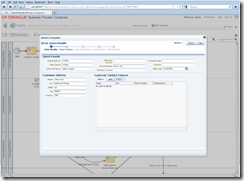 Some background on this: Oracle BPA Suite currently provides some of this functionality, using a sub-licensed and modified version of ARIS, a product from IDS Scheer. Software AG has acquired IDS Scheer and the agreement that underlies Oracle BPA Suite is not one with a lot of future in it. 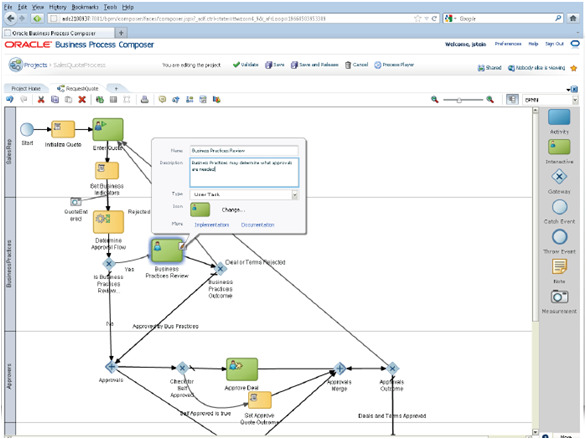 To replace the capabilities in BPA and to offer better integration between high level (L0-L3) process modeling as well as other aspects of business and enterprise architecture, the BPM Suite will be extended to support this type of modeling. As you can see from the next figure, this support is also added to the Process Composer, so browser based. Process instances and the way they are executed generate a continuous stream of events – both at meta level (process execution metrics) and at data level. 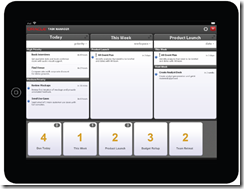 Oracle BAM (Business Activity Monitoring) can process such real time events and present them in live dashboards and/or interpret the events according to specific rules that define when an alert or business events should be raised, based on certain findings in the fine grained process events. 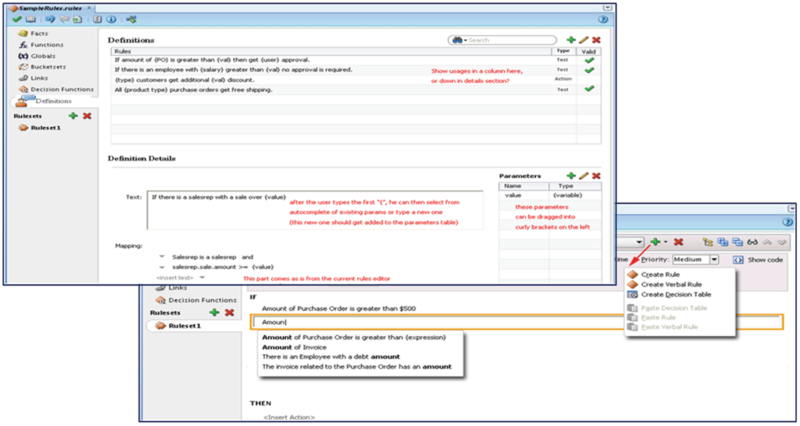 In 12c, the definition of the rules that describe when an alert should be raised or a business event be published can be created in a much more user friendly day than is the case today. The BAM Active Studio tool used today is replaced by the BAM Composer (another run time, browser based tool) that offers a fairly accessible way of defining the rule and the action. In the screenshot below, the KPI for the processing time of Calls with a priority of 1 is inspected. Whenever there is an hour in which the maximum processing time is longer than 80, an alert event should be published (that contains the maximum process time, the norm value (60), the allowed deviation (60) and the actual deviation (or at least that is how I read it). An overlay that is shown when the mouse hovers over specific process activities gives very quick insight in the performance of the activity in all (recent) process instances. Such embedded analytics will increasingly be made available. 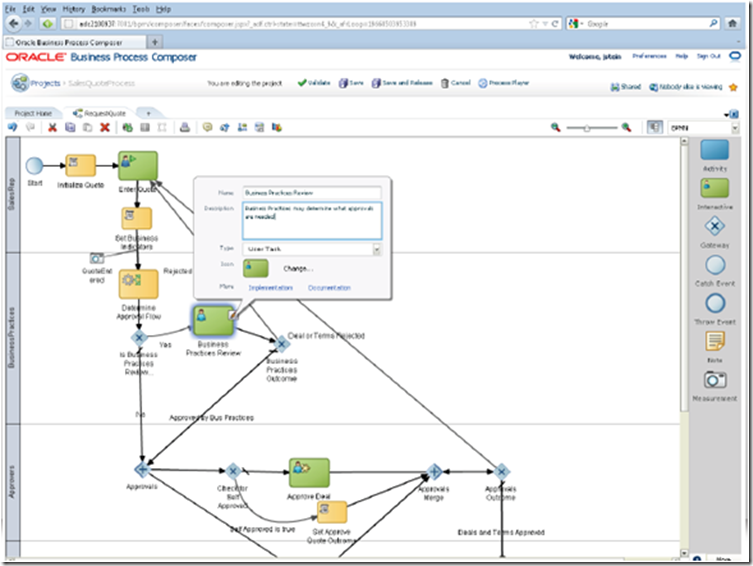 A unified STAR schema across BPM and SOA is provided out of the box, to capture and analyze the metrics for process executions. 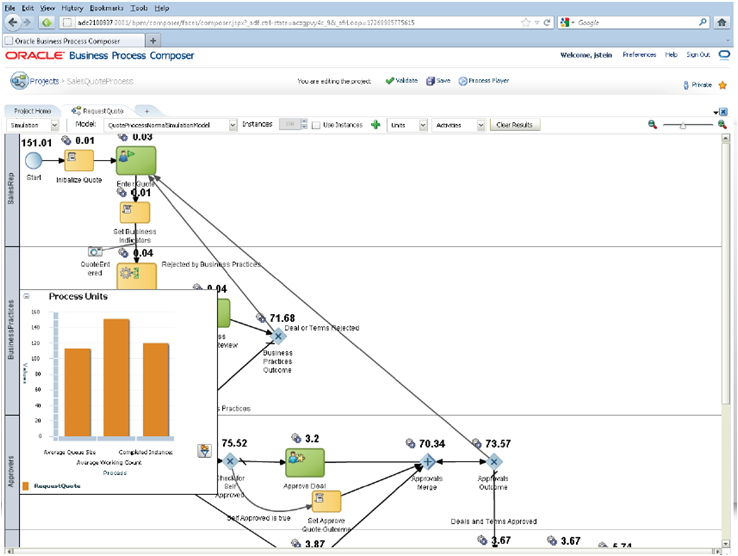 Additionally, 12c will do automatic creation of BI semantic models on top of process metrics. Business Rules – decision logic – are important in business processes. And especially the ability to externalize, reuse and at run time alter the business logic that drives decisions and calculations in the business process is important. However, the User Interface for defining Business Rules is not all that friendly for Business Users. Oracle has made some significant steps and today’s Rule Editor in SOA Composer is way beyond the previous generation of rule tools. Yet, in 12c the business user will feel much more welcome to rule editing. List the inputs (considerations) required to answer the question. Repeat the three modeling steps in an iterative decomposition process: for each of the considerations that is not immediately-observable data, evaluate what is needed to produce the consideration as a conclusion of a sub-decision. Continue iterating until all of the considerations can be grounded in data that is available without further sub-decision. The other big them on OOW 2012 obviously was social: the integration of [the ways of working of] social media in enterprise applications. 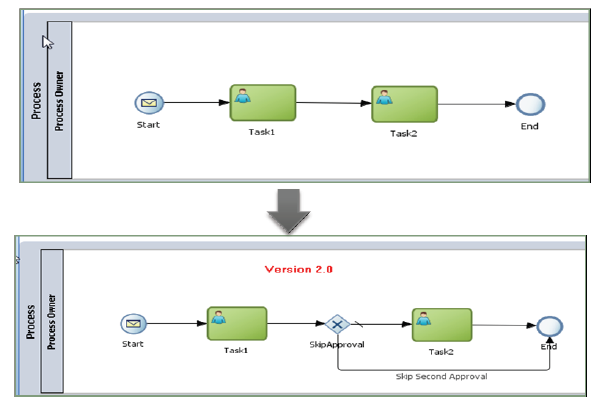 This seems to replace (or at least complement) the Process Spaces option – that facilitates collaboration both around process definitions as well as process instances. 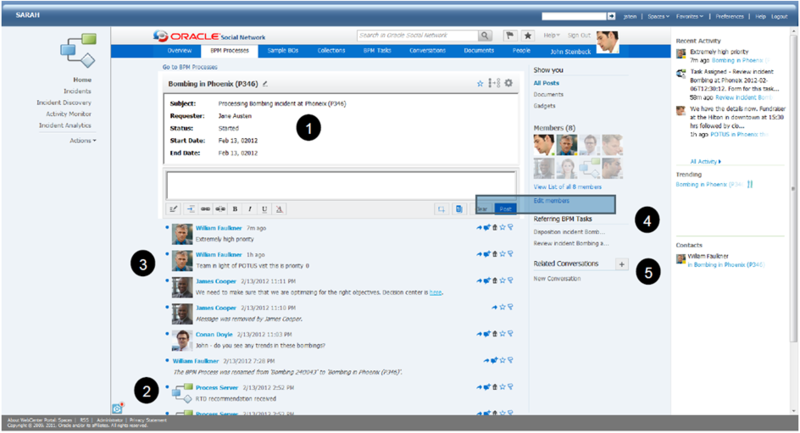 The Conversations on OSN seem to serve a similar purpose, in a way that is probably more widely accepted within Oracle. Note that OSN is (at least for now) intended to be a cloud only service. Whether use of OSN would come as part of the BPM license seems somewhat uncertain at this point. Note also that with all this new functionality in Process Composer and other browser based tools, BPM itself may become a cloud based service before too long. Milestones, and Decisions vs. Process. No separation between design and run. It is intriguing, to say the least. 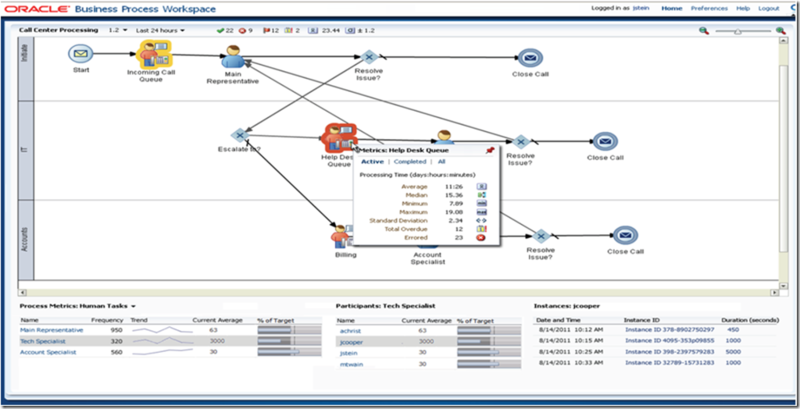 After this long expose of what BPM has to offer in the short (PS6) and longer run (12c) – who would contest my suggestion that BPM was the winner of the OOW12 Fusion Middleware beauty contest (that obviously did not really take place)? I am impressed – and looking forward to working with these new capabilities.